Justice, civil rights and equity are of utmost importance for California’s future. Our new video showcases eight emerging leaders who are taking on pervasive inequity and injustice in the areas of criminal justice, immigrant rights and racial justice. The video spotlights the 2016-2018 Leading Edge Fund fellows. The Leading Edge Fund is a new $2 million fund created to seed, incubate and accelerate bold ideas from the next generation of progressive movement leaders in California. Launched by the Rosenberg Foundation in partnership with the Hellman Foundation, the Leading Edge Fund awarded $225,000 in general support over three years to each of eight fellows who are tackling deep barriers to opportunity for communities of color and low-income communities. In addition, the fellows are receiving technical assistance on strategy, program design, fundraising and communications. From ending racialized police violence, to shining a light on disproportionate incarceration rates for Native Americans, to expanding the role of the public defender to ensure representation for immigrants, the fellows’ cutting-edge ideas have the potential to transform the state. 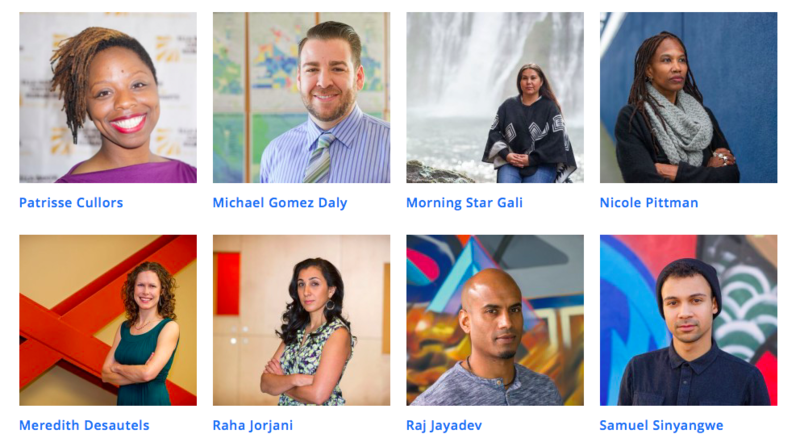 The Leading Edge Fund is supporting these innovative leaders in their efforts to fundamentally change the odds for, and with, the most disenfranchised Californians. Check out our new video of these brave leaders and their bold ideas. Watch here.